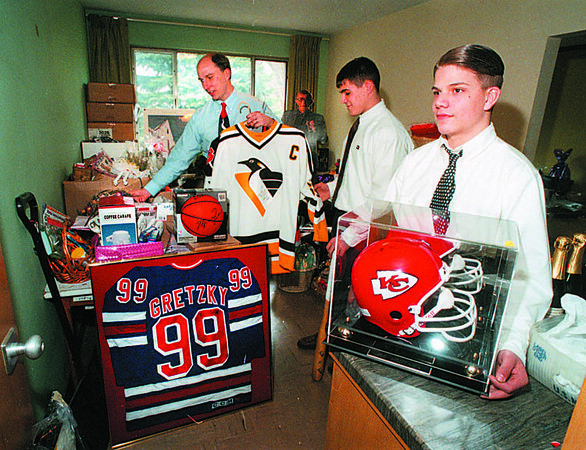 2/19/97 Niagara Catholic Auction - James Neiss Photo - Getting things together for the Niagara Catholic Jr./Sr. High School Variety Auction are: L-R- Ronald Buggs President/Principal, Lenny Bevilacqua 16/11th and Tom Olson 15/10th. Lot's of sports items up for grab.